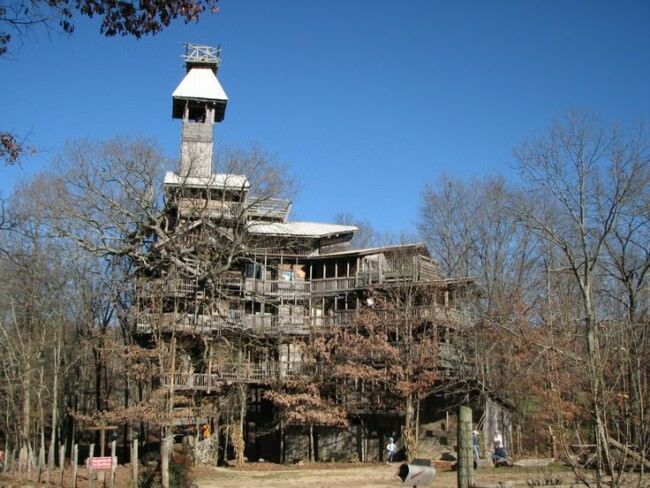 The five-story tree house is not the ordinary tree house your father built ( or at least promised to build). 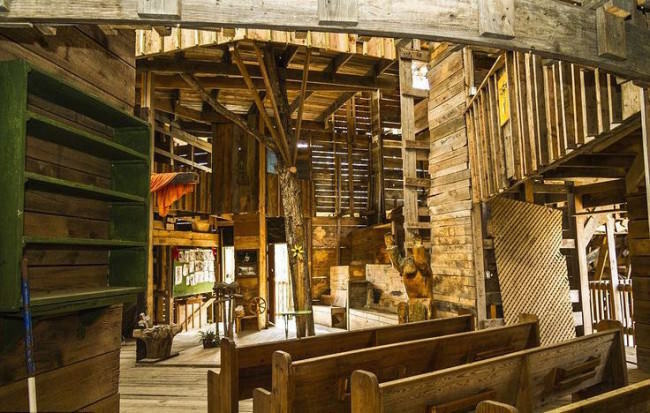 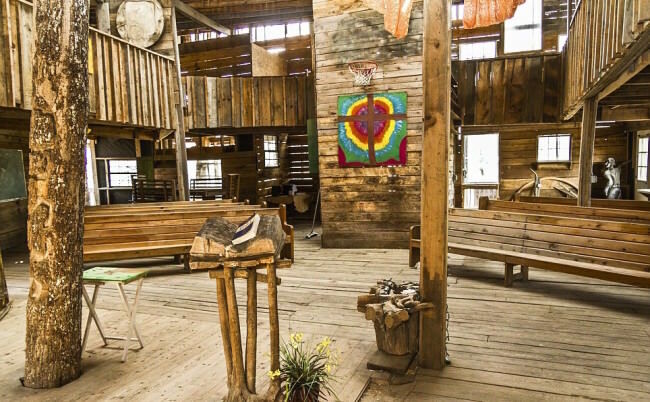 Minister Horace Burgess, a Tennessee pastor claims that he received a ” divine calling” from God in 1993 saying, ‘If you build a tree house, I’ll see that you never run out of material’. 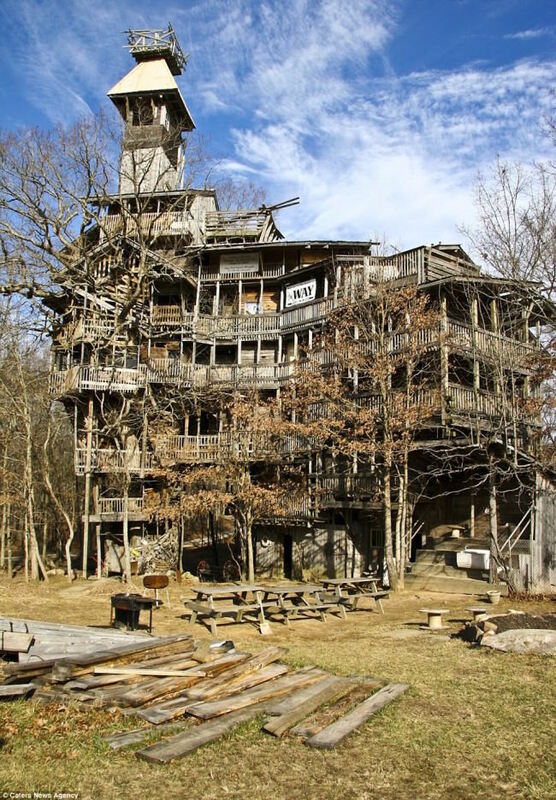 So, Burgess dedicated 15 years of his life building the largest tree house in the world, using only its surrounding natural habitat and recycled materials. 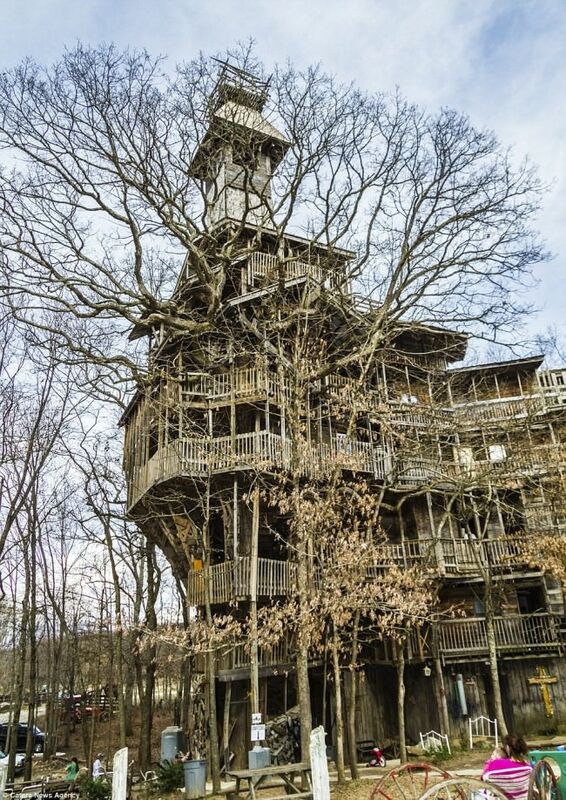 He used an 80-foot-tall white oak tree as a main support, and an additional six oak trees to help stabilize the structure.The tree house is built on a plot of land that Burgess had purchased 10 years before construction began. 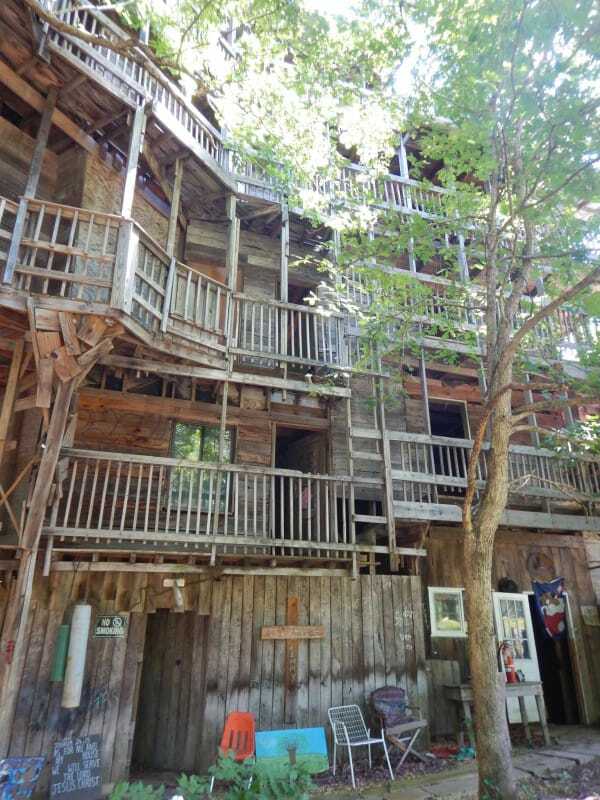 The most fascinating about this construction is that Burgess didn’t involve tailored plans in the construction process. 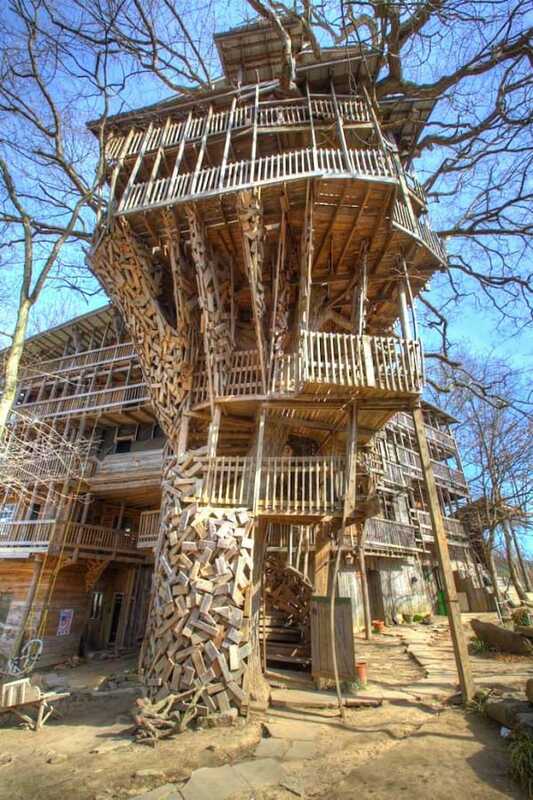 He did use a large amount of reclaimed wood and recycled pallets. 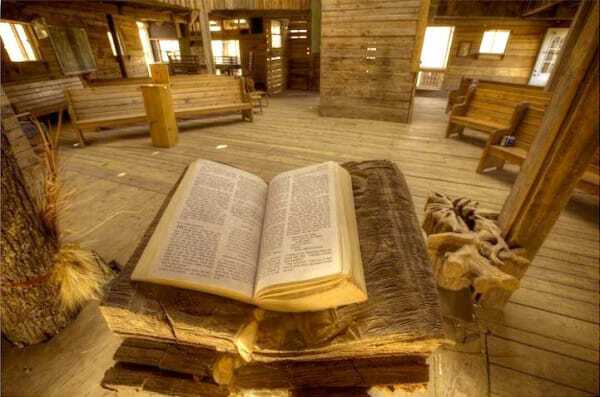 On one of the levels of the tree house, there is a church where Burgess conducts his sermons. 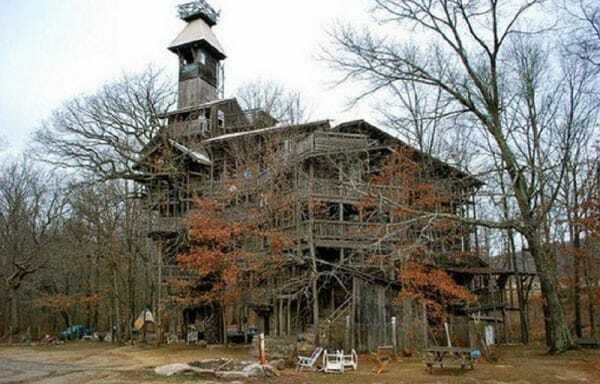 All in all, the tree house measured 97 feet high, and spans over 32,000 square feet.The tree house contains 80 rooms and has a bell tower at the very top.